Posted on May 5, 2017 by Matthew Leib. This entry was posted in Spotlight, Staff Stories and tagged Coaches' Corner, staff story, UW Athletics, UW Fitness Day. Bookmark the permalink. If there is such a thing as a fifth act in the drama of American athletics, Elise Ray just opened hers to a standing ovation. This past April, Ray closed the books on her first season as head coach of UW Gymnastics, leading the GymDawgs to a program-record eighth-ranked finish nationally, ten spots ahead of the team’s preseason ranking. Having coached the team to a 196.5625 score at NCAA Championships—its highest tally in history—Ray says she’s now taking some time to reflect on and cherish the experience, even as she sets summer training plans in motion in advance of her sophomore campaign. She isn’t just hoping it happens again. In a world where elite athletes often struggle to reinvent themselves after competing on the world stage, Ray has proven exceedingly flexible, finding success as a college gymnast, performing artist, coach, and commentator in the decade and half following what she describes as a “horrible” experience at the 2000 Sydney Olympics when officials mistakenly set the vaulting table 5 centimeters too low, causing several crashes and sending the competition into disarray. While Ray and other competitors narrowly avoided potentially devastating injuries, the inconsistency, along with a slew of other factors, marred the experience—along with many athletes’ performances—beyond salvation. While she and the rest of the USA Gymnastics team would be retroactively awarded a bronze medal a decade later in 2010 after the Chinese team was disqualified when it emerged they had falsified the age of one of their athletes, Ray says the fact that she didn’t initially medal ultimately played a part in leading her to where she is today. “If we had medaled as a team, I likely would have gone professional and wouldn’t have competed in college,” she says of what, to that point, had been the typical career path for elite gymnasts post-Olympics. Ray and several other fellow Olympians were among the first to buck the trend. Ray found that renewed focus and energy at the University of Michigan, where, after four years, she graduated with 14 All-American honors (the most in the program’s history) and emerged as the Big Ten Conference’s all-time leader in Gymnast of the Week citations with nine. Part of Ray’s second wind as a gymnast at Michigan was discovering just how different gymnastics is on the collegiate level. Even though a college-age gymnast might not be as flexible as younger competitors, performing at the collegiate level calls upon a distinctly different kind of flexibility. 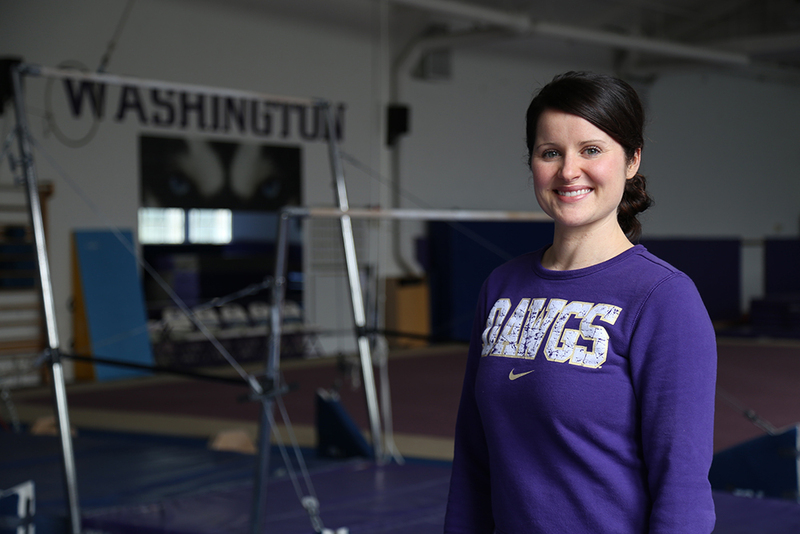 After graduating college and before joining UW Gymnastics as assistant coach in 2011, Ray spent three years with Cirque du Soleil, appearing in two shows a night for five nights a week in Las Vegas after completing a six-month stint at the company’s training facility in Montreal. “There’s nothing like it—you’re taking singing, dancing, and clowning classes; I learned a completely different discipline—trapeze—that was similar to gymnastics, but technically very different,” she says. Working alongside and, at times, underwater with lifelong circus performers was humbling at first, Ray says, but it motivated her to push herself, persevering to improve. The biggest takeaway she applies to her present work as a coach? When the UW Gymnastics squad loosed themselves on the competition at NCAA Championships this past April—setting an NCAA Gymnastics Championship program scoring record with a 196.5625 in Semifinal I—it was the culmination of a season-long process of maintaining a long-term vision that was realized in increments—setting and achieving short-term goals. It’s the same ethos that reinvigorated her own interest in the sport at Michigan. The squad reached their first 197 in February, about halfway through the season. “It was an eye-opener for all of us,” Ray says, adding that, at that point, she knew it was time to raise the bar and get the team envisioning just how good they could be. Part of how Ray imbues team-wide confidence is empowering her athletes with a sense of calm and control. She emphasizes mindfulness and the importance of making time for yoga, stillness, and reflection at the end of practices. It’s all a part of building partnerships that can—and should—be invested in, Ray says, adding that the difference between a cutthroat environment and a nurturing one can make all the difference—not only when time comes to compete, but when student athletes usher out into the world. “Here you have this support system where you can grow up and mess up and we still have you and still guide you and love you and push you,” she says. It’s a nurturing sentiment she says she hears echoed throughout the UW Athletics community, beginning at the very top. It’s not an attitude born of wanting to win, but wanting to improve as people above all else. Even as Ray prepares to bid goodbye to four “unbelievable” seniors, she says she feels confident the program’s culture is strong enough to buoy an exciting new class of freshmen. 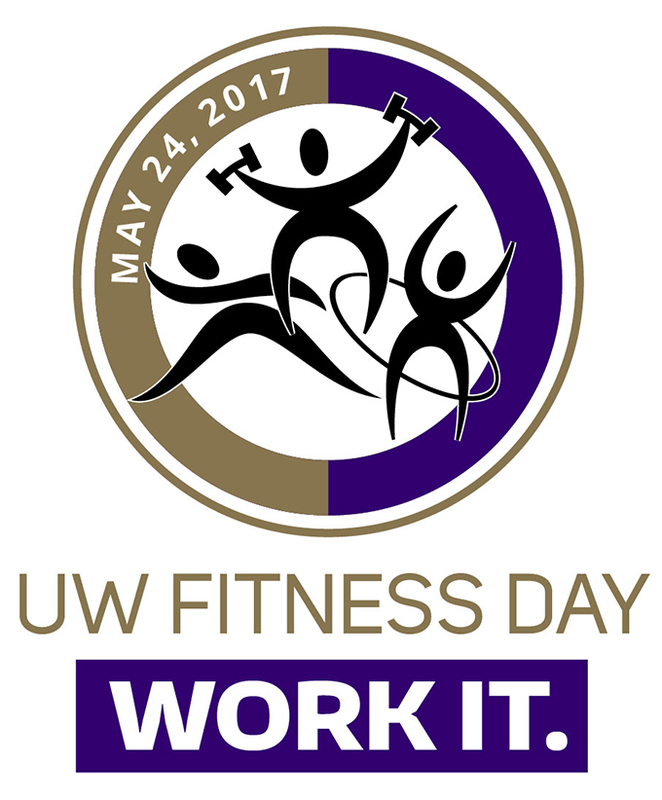 Join Elise and 39 other coaches from UW Athletics, UW Recreation, and our fitness discount partners on the field at Husky Stadium for UW Fitness Day on May 24. Register here.